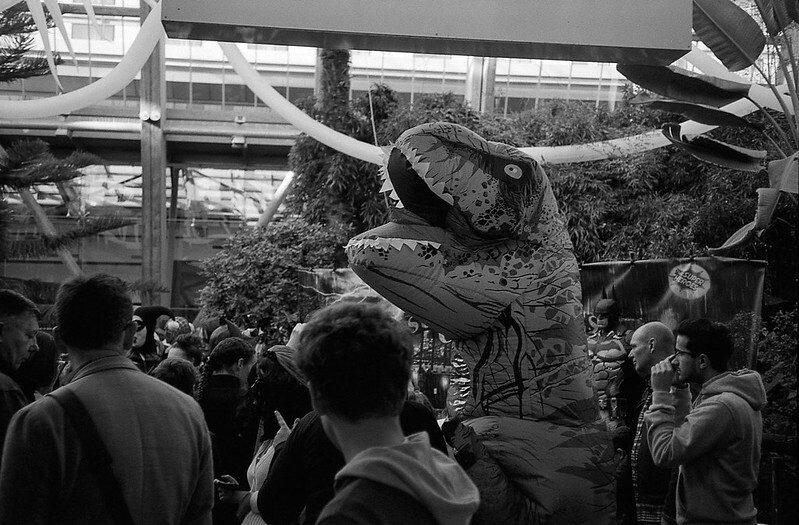 I spotted someone in a T-Rex costume amongst the crowds in the Winter Gardens the other week. I took a couple of photos, both of which are very similar – one was with my F70, 50mm f/1.8 & some expired Superia 100 (rated at 64asa), which suffers a little from camera shake as I had to use a pretty slow shutter; and then this one, which was taken with my Olympus 35 RC. 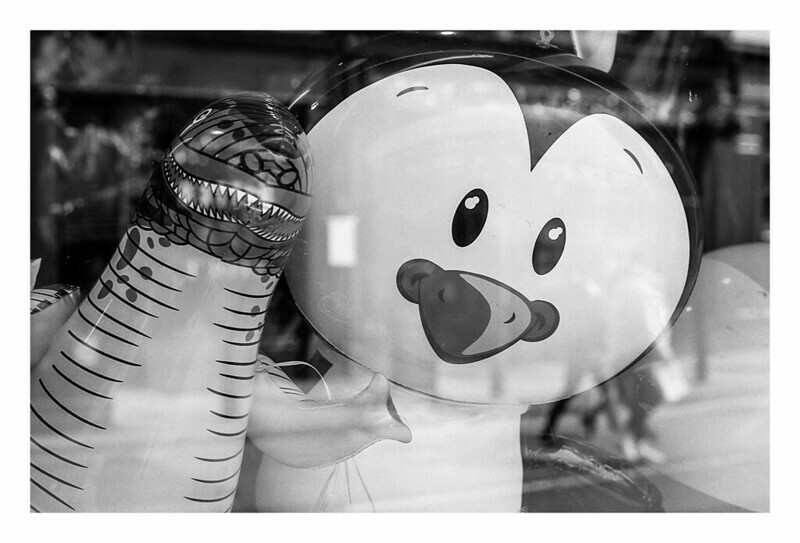 Thanks to the Tri-X I was using in the camera, I got a sharper result (I probably shot this at 1/60th).